For Apple, Reno, Nev., has long been a nice little tax haven. But the company may soon increase its infrastructure interests (and token employee count) there. 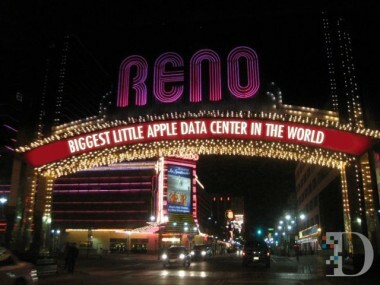 Apple today confirmed it is considering Reno as the site of its next data center. According to the Reno Gazette-Journal, which first reported Apple’s interest in Reno, the company is mulling a $1 billion investment in the region over 10 years that would include not just the data center, but a business and purchasing facility as well. If the deal is approved, Apple could break ground on a new data center as soon as August. Once it’s finished and online, the company will have major data facilities in Newark, Calif.; Maiden, N.C., and soon Prineville, Ore., as well.